One of the most known political celebrity of the age who reveals himself as a Russian hard man. had he got done various cosmetic surgeries for creating such ultimate image? “A leading cosmetic surgeon from UK Gerard Lambe claims that the face of Russian guy displays signs of variant cosmetic procedures done on it for transforming him into a bona fide tough guy. 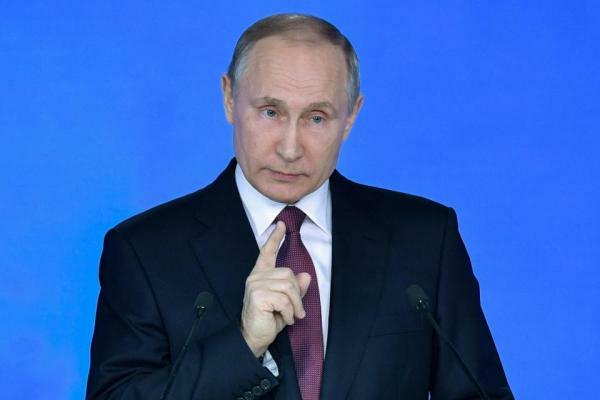 Vladimir Putin is a broad-shouldered macho man who has won millions of voters throughout the election and become the president of one of the most powerful and dominant countries, Russia. 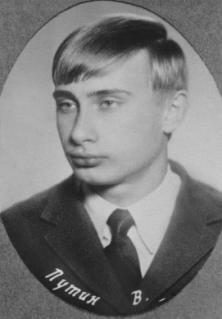 But the starling pictures of him when he was the KGB Lieutenant, reveals a different way he had looked. He seemed to be a bulgy-eyed Mr Bean. 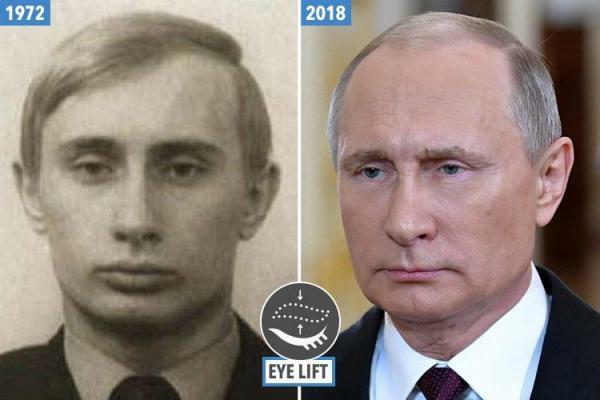 Fresh-faced picture of Putin taken in 1972 to the left. His recent picture taken (right) displays that his eyelids are not as much visible as were before, certainly the result of the eye lift. So, what in the world transformed Russia’s Mr Wimpy into a game hunting statesman-like leader who rules the world today. “This would be largely down to cheek fillers. I’d say he’s clearly got a dedicated aesthetic surgeon on his team as these fillers were certainly quite subtle to start. 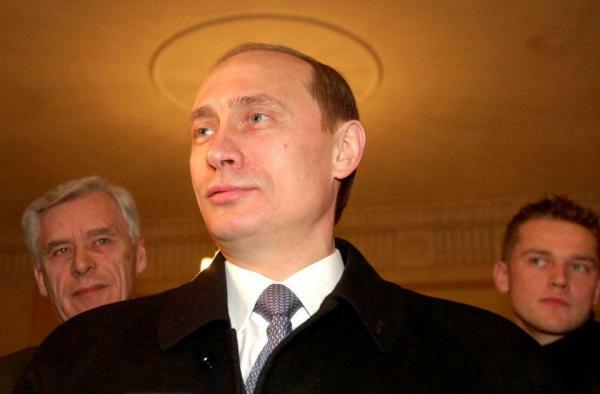 In a picture taken (left ) in 2002, Vladimir Putin face looked weak as your nan’s lemon squash. 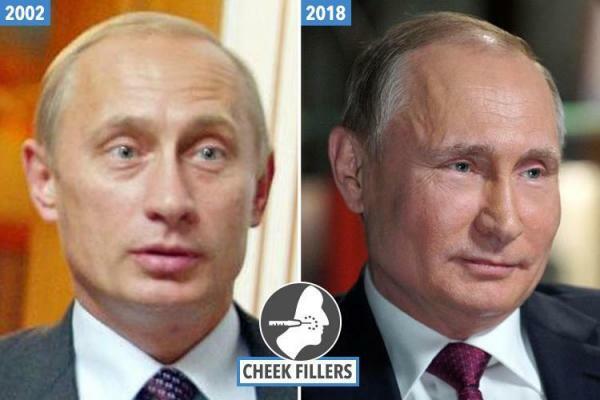 But now in 2018, he sports a much fuller face thanks to cheek filler. Okay, that explains the face but what about the shiny-remarkable set of eyes. “I can also see a subtle upper eye lift and quite likely a chin lift – giving him a much more alert and fresher look,” Dr Lambe told. Putin’s delivers a speech to Russian Federation where his cheeks looks much stronger. Four plastic surgeons around the globe agreed with the term that Vladimir Putin, probably, has got some cosmetic surgery on his face. 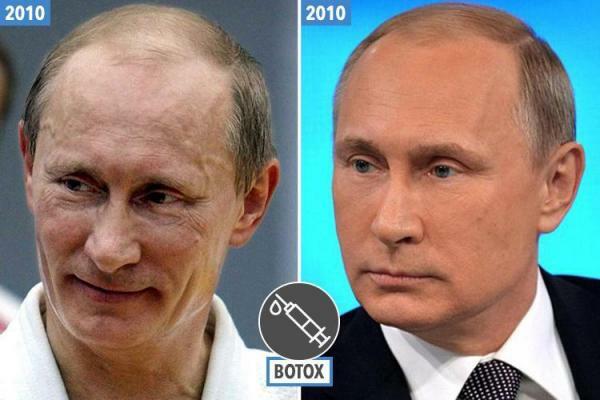 They said it can be undergone botox in his head, an eye lift on his lower lids, and injection on cheeks. The macho man looks far more modern and bright-faced than how he looked in old black & white pictures. In photos of 2002 when Vladimir Putin was acting as the prime minister of Russia, the features of ageing were more visible on his face. 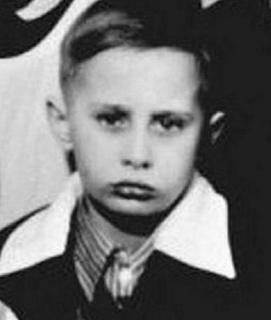 Photo of Putin in 2000 With Chinless Face. In 2010, Putin looked tired and chinless after taking a part in a judo session. In 2013, after 2 years of sitting in office as President, he looked different with tight face skin and without wrinkles. 2018, he seemed younger and energetic in appearance, at the age of 65(He looks like 45 if you have observed). So, the blog reveals how the cosmetic surgery collaborating with advanced robotics can change the appearance of person’s face. Ageing just fades away with cosmetic procedures.